Preparation is a critical part of any Model UN conference- you need to come prepared so you can deliver informed speeches, make strong arguments while negotiating, and write innovative and realistic resolutions on your committee topics. Preparation and research needs to focus on both your country and your topics, and it can add up to a lot of information that there’s no way for you to memorize! Topic Background- What are the basics of the topic you’re discussing in committee? Past International Actions- What has the United Nations already done about this issue? Country Policy- How does your assigned country feel about this topic? Possible Solutions- What should be done to fix this issue? The hardest part of Model United Nations research is finding your Country Policy. Researching Climate Change might be easy, but researching how Peru feels about Climate Change can be more challenging! We’ve broken down researching your Country Policy into a few easy steps to help you get started! But first, let’s talk a bit about the organization that Model UN is all about- the United Nations. The CIA World Factbook Page: The go-to for MUNers, the CIA World Factbook is filled with information about your country. The CIA Factbook has information about your country’s geography, its economy, its government, its population, and many more facts and figures! Speeches at the UN: Want to find out what your country has actually said about the UN on your topic? Using the UN Member States on the Record tool, you can find all the statements your country has made to the UN General Assembly, Economic and Social Council, and Security Council in the past few decades. Official Government Website: As a Model UN delegate, you’re representing the government of the country you’re assigned. Check out their website to see what your government has to say about the issue. UN Permanent Mission: Check out your country’s permanent mission to the UN to find out who your Permanent Representative to the UN is, find quotes, and search for your country’s position on the most important issues to your committee. BBC Timeline: Find the most important events in your country’s history! This can help you figure out why your country has the policies it does, and what your history may be with the other countries in your committee. IMUNA Country Profile: The International Model United Nations Association has some quick facts and resources for MUNers on each country- check out yours! How do I find my country on the Model United Nations Research Map? OR you can see if you can find your country on the map, and click on the pin! 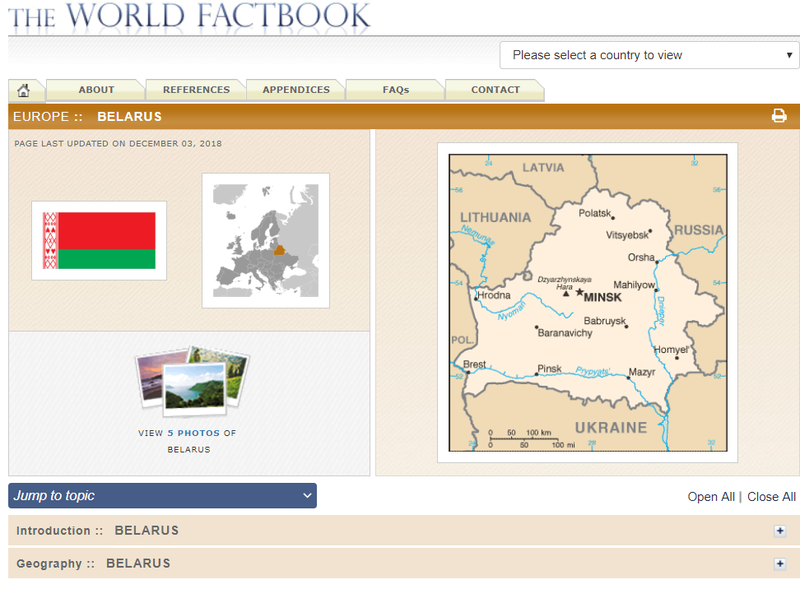 Once you’ve found your country, use the first link to open up your country’s page on the CIA World Factbook! Can you answer the following questions about your question? What is the population of your country? What is the largest religion in your country? What are your countries most important imports and exports? Who is the current leader of your country? Teachers- try this as an activity with the whole class! If you didn’t have your students complete the Country Policy worksheet as homework, you can download a Country Profile worksheet by clicking here to help challenge your students to use the CIA World Factbook to learn about their countries! REPORTS by or about your country on the topic. What’s awesome about using SPEAR for your research is that it captures exactly how your country shows their policy when they go to the United Nations! This means that the UN has great resources to help your research your topic, along with the websites run by the government of your country. When we use Google to research your country and topic, we may get a lot of results- so we’re going to “Power Search”- that means we’re going to use special language in Google to help reduce the number of results you see, so that you’re only focusing on the best stuff. Check out the video below to see this in action. Pay attention to how much better the results are once we’ve told Google where to look. Also, notice how many fewer results we end up with! Use SPEAR to help you research your Country Policy. Try to find examples of Speeches, Programs, Event, Agreements, and Reports for each of your topics. Download this worksheet to help guide you through the process. Try to find at least 3/5 parts of the SPEAR for each topic.